It seems just like yesterday when the first-years were arriving on campus, enjoying the campus barbecue, and waving goodbye to their parents as they embarked on their first semester at Bates. The sophomores and juniors were soon to follow, and within days we were out on our brand new field for the start of the 2016 campaign. The preseason flew by and before we knew it, the whistle sounded for our home opener against Worcester State. It was an exciting season to say the least for Bates. The team consisted of first-years, sophomores, and juniors — no seniors — and this group of young women had the best season for the program since 1999. The team went 9-7 in the regular season, which was the first winning season for Head Coach Dani Ryder since taking over the program in June 2013, and the first winning season for the program since 1999. The Bobcats’ NESCAC record improved, and their four conference victories were the most for the program since 2002. After being down 1-0 against conference rival Colby, Bates went on to score four unanswered goals to secure, not only their fourth conference victory, but also a playoff berth to the NESCAC tournament. This was the first time in program history that the field hockey team was able to make back-to-back NESCAC tournament appearances! We hope to keep this going into 2017. Beyond the milestones that were surpassed were statistics that continue to grow each season. Bates scored 34 goals this season, 13 more than in 2015. This year the team put 13 points on the board against NESCAC foes, whereas in 2015 the team punched in six goals. Defensively, the Bobcats produced five shutouts and reduced their opponents’ ability to get a shot on goal. 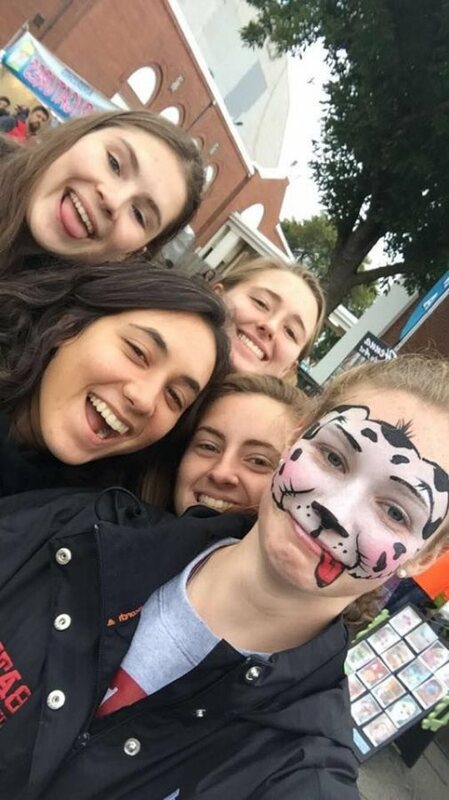 The Bobcats were able to attend the “Big E” thanks to the O’Reilly family, enjoy an afternoon at Wallingford’s Fruit House and Orchard, and spend time together pumpkin carving and playing a competitive game of charades! One of our favorite memories was during our game against Tufts, early on in the season, down in Boston. Bobcat alumnae and families decorated the sideline, showing that Bobcat Nation is alive and well in Boston. Thank you for all those that attended and joined us at our tailgate following that game! The season wrapped up with postseason accolades, as sophomore Taylor Lough was named to the All-New England West Region Second Team by the National Field Hockey Coaches Association. This was Lough’s first time being honored on the All-Region team. Lough was also named Bates Female Bobcat of the Week during the season, along with classmate Jessie Moriarty. Junior Sam Reiss was named to the 2016 NESCAC Fall All-Sportsmanship team. We are so proud of what was accomplished in 2016, but are eagerly counting the days until the start of the 2017 season. We know that the young women on this team, and those joining us, are dedicated and determined to push the envelope of expectations for the 2017 season, and we cannot wait to see what we are able to accomplish! The team continues to be active in the community, partnering with the Good Shepherd Food-Bank for their annual “Hockey for Hunger” game and the Sam and Jennie Bennett Breast Cancer Center during their ‘Paint it Pink’ night in support of Breast Cancer research. The young women who make up the Bates program are very passionate about much more than field hockey, and we love the fact that when our players are passionate about something they take action. This year, the team organized four events during the season that helped not only local organizations and supported causes on campus, but also nationwide foundations. Sophomore Taylor Lough and Junior Sam Reiss put together an event to honor the lives of Lucas Bandoni and Olivia Scott, and many others during the Bates Field Hockey Plays for AFSP (American Foundation for Suicide Prevention). 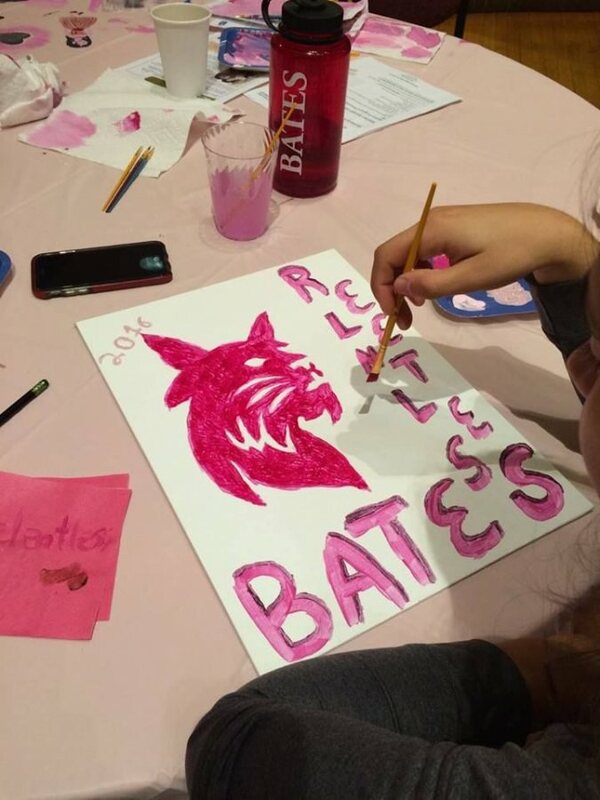 The team exceed their donation goal of $1,000 thanks to the community here at Bates and beyond. Last spring the team became Green Dot certified, and this fall the team participated in a Green Dot game to support the on campus program. The mission of Green Dot is to foster a safe community where social norms are transformed to show that violence is not tolerated and that everyone can play a part in violence prevention. Junior Delaney Nalen was a big contributor in getting the team certified last spring! The team helped Coach Ryder in their annual “Hockey for Hunger game,” where all donations were donated to the Good Shepherd Food-Bank. One of the last organized events was the “Paint it Pink” night organized by sophomores Shelbie McCormack, Adelae Durand, and Carley Barnes. The event was a huge success with students showing up to paint, enjoy desserts, and participate in the raffle. Thank you to all the local businesses that supported their efforts with donations. We are so very proud of how our Bobcats give back to the community. Many other teammates visit with the students at Lewiston middle school and Tree Street on a weekly basis. This past summer, Kelly McManus ’12 and Carolyn King-Robitaille ’07 joined Coach Ryder and current Bobcats, as they returned to their alma mater to serve as coaches for the Bates College Revolution Field Hockey Camp. We take a moment to discover how these two got into coaching and where they are now. 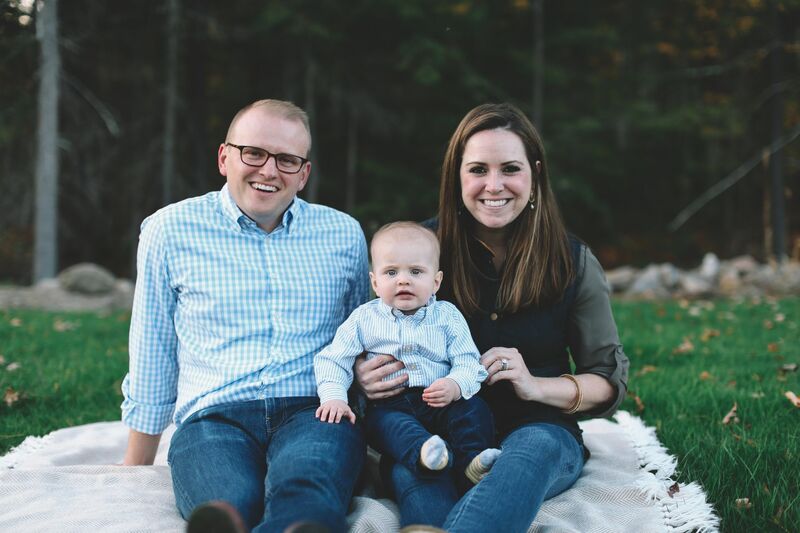 Q&A with Kelly McManus ’12, who majored in psychology at Bates and went on to earn a master’s in sports leadership at Northeastern University. A 2013 graduate of the NCAA Women Coaches Academy, McManus holds US Field Hockey Level-I Certification. Where are you currently coaching? I just finished my first season at Bowdoin after coaching for four years at MIT. My dad just retired from coaching college baseball for 30 years. I grew up going to all of his games, having his team over for holidays, and going to baseball conventions in the winter with him. From seeing him in this position for most of my life, I knew that I wanted to dig a little bit deeper into coaching. I was able to attend the NESCAC Coaching Symposium during my junior year at Bates and work field hockey camps to gain as much experience as possible. After going to this symposium and working with student-athletes at camps, I knew that this was something I could see myself doing for a lifetime. How has your Bates education helped you along your path to coaching? There are so many parts of my Bates education that have helped me along my path to coaching. Being able to be a part of a liberal arts education, having to think about issues in a different way than one normally would, and really having to apply myself in a discussion-based classroom environment were all helpful for my development as a coach. I also had the opportunity to work for the Athletic Department during my four years at Bates. Having the ability to work for coaches and administrators during my time at Bates really helped me get a feel for what a coach does on an everyday basis. The last, and probably the most important part of my Bates education are the connections that I have made between coaches, professors, and administrators — people that I continue to stay in contact with to this day. Q & A with Carolyn King-Robitaille ’07, who majored in English with a focus in creative writing at Bates. As head coach of field hockey at Div. 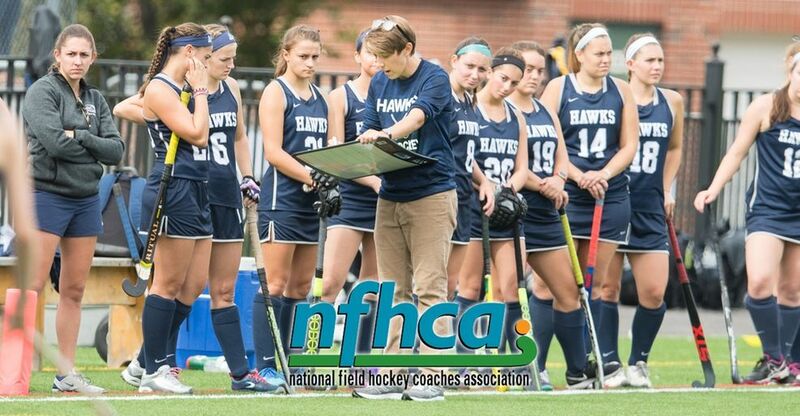 II Saint Anselm College in Manchester, N.H., she led the Hawks to 15 wins during the 2016 regular season, the program’s first NE-10 Regular Season Championship, and the top seed in the NE-10 Tournament. She was named 2016 NE-10 Coach of the Year and 2016 NFHCA DII East Region Coach of the Year. 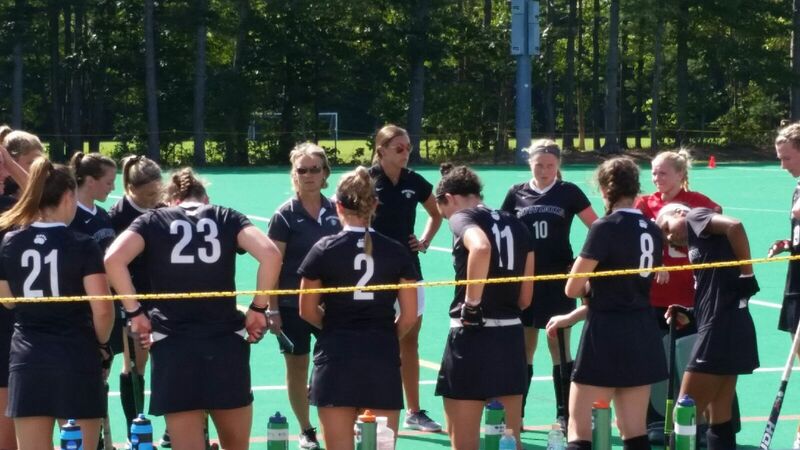 I have been coaching college field hockey since the 2007 season. I started as a volunteer assistant coach in my final semester on campus after I had already used up my eligibility, and returned the following two seasons as a paid assistant. How has your Bates education helped you along your path? Bates instilled a work ethic in me that I never knew existed. It provided me with the most incredible opportunities to challenge myself and grow as a person. I was constantly surrounded by so many bright, motivated and ambitious people, which pushed me to be the best version of myself every day. I lean on the values I learned at Bates and the people I met there each and every day. I am incredibly proud that in collaboration with a couple of local high school coaches, we have started a free youth field hockey organization in Manchester last year. Check out the Manchester Hockeyroos! I could not and would not be doing what I am doing now if not for my incredible time at Bates and my years as a player on the field hockey team. It’s always a great day to be a Bobcat! Our entire junior class has taken the opportunity to travel abroad this winter semester, and we are looking forward to hearing about all of their adventures. We will have Bobcats in Spain, Italy, and Ecuador! Not everyone has taken flight to a study-abroad destination, but here are a few stories from those who have. Junior Sydney Beres landed in Florence, Italy, in early January and is already into her first weeks of classes and exploring the city with her host family and roommate. 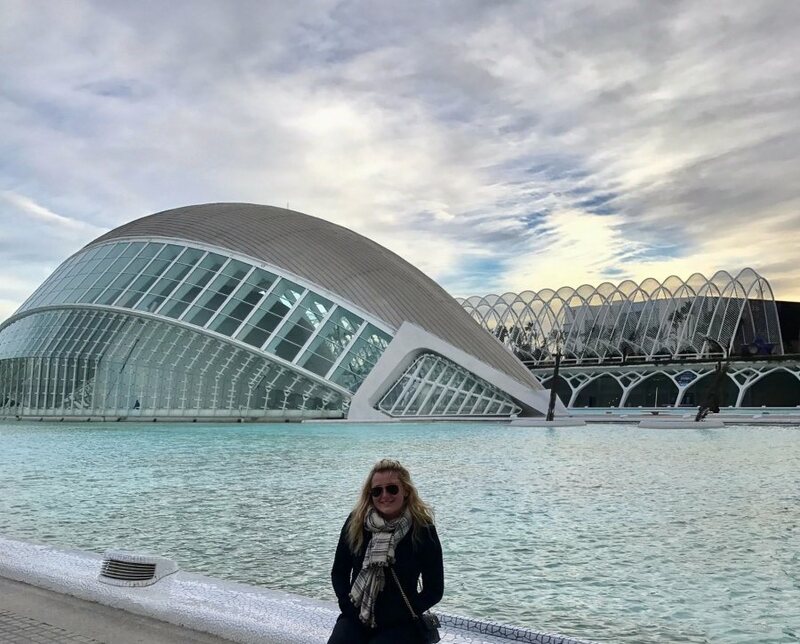 Junior Delaney Nalen is spending the semester in Valencia, Spain, and has been busy working on her Spanish, visiting museums, and traveling in and out of the country. Junior Caroline O’Reilly has been busy in Alicante, Spain, with her classmates. Caroline has been sight-seeing, climbing the “El Castillo De Santa Bárbara,” and taking in the incredible views of the city and Mediterranean. Along with the sites, she has been enjoying the local cuisine and has tried octopus, raw meat, and coneio (rabbit meat, a specialty in her area) tapas! 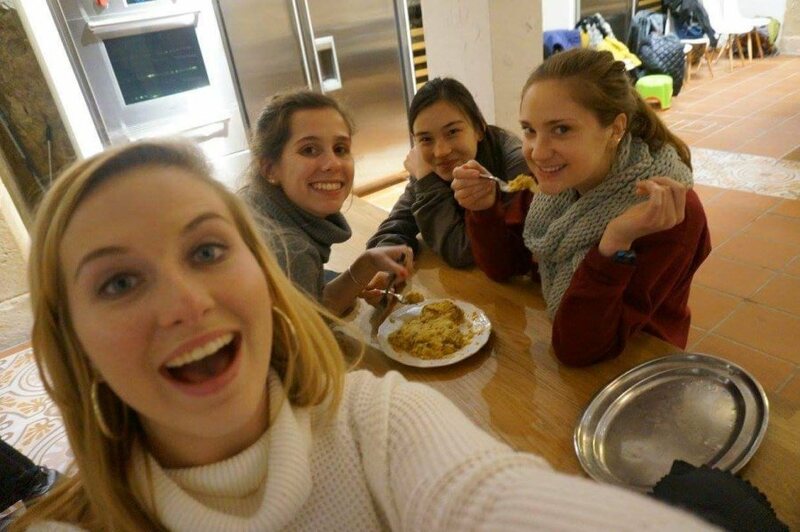 Caroline has not only been enjoying the local foods, but also has taken part of a cooking class with her classmates on how to make the Spanish classic tortilla and other dishes. From the sounds of her adventures, she is enjoying her time abroad, and we cannot wait to hear more in the upcoming weeks and months. Here at Bates we are very proud of our strong and well-connected alumni network. Bates Field Hockey enjoys hearing from our alumnae about their families, work, travel, and much more. In this segment we catch up with Molly Carr ’07 and Lindsay Gary ’03, and hear what they have been up to since graduation. Lindsay is currently a consultant out in Santa Barbara, Calif., and is married with two dogs. She is active within the California field hockey community and is a part of the adult field hockey club team, Oh Yeah! (Which you can follow on instagram, @ohyeahfh). The club usually attends the USA Field Hockey Festival and came in 3rd for the women’s league last year. They play year round and also came in second in their fall league, first in their spring league, and took first place in the women’s competitive bracket at Cal Cup. The team is very active and have even started to introduce beach hockey to the west coast and are hoping to host a tournament soon. Lindsay also plays in an ice hockey league with former Bates field hockey teammate Libby Yardi (formerly Getzendanner)! We loved hearing about all the Bates and NESCAC connections from Lindsay, and are happy to see that she continues to be active in the sport and is sharing it with others. We hope to see you at Bates in the Fall and want to say thank you for all your support in cheering us on over the broadcast that we know you tune in for! We always love seeing Garnet in the stands and appreciate our home crowds as well as our alumnae and families who support us on the road. To say thank you for all the support Bates Field Hockey receives, we will be hosting another “Alumnae Tailgate” down in New London, Conn., on Saturday, October 7, 2017. We hope to see our New England-based alumnae attend! Also, mark your calendars for Back to Bates: Homecoming & Family Weekend Sept. 22–24. This occurs while we are on the road at Wesleyan and Williams, but we hope that if you are able to enjoy the festivities at Bates that you come on up and show your Bobcat Pride at the football game. And lastly, on the weekend of October 14 and 15 Bates will be hosting a back-to-back weekend, with games against Tufts and Amherst. We hope that you are able to catch a game or two this season!